Chocolate is one of the favorite delicacies of many people around the world; around 1 billion people eat it every day. Every supermarket, shop and street market has a wide range of different types of chocolate, from the most popular ones to special and limited edition varieties. White chocolate, dark chocolate, milk chocolate, chocolate with nuts and raisins… the list goes on and on. 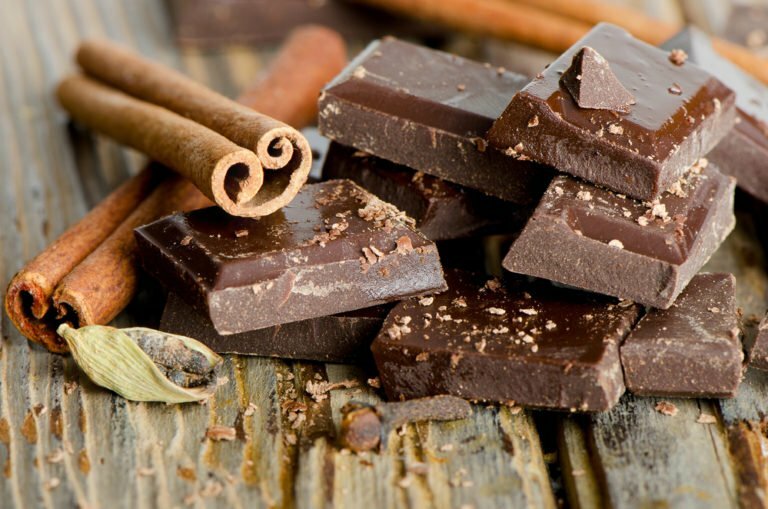 The history of chocolate began more than 3000 years ago. Around approximately 1500 B.C. in the lowlands on the bank of the Gulf of Mexico in America there was a civilization called the Olmecs. Not much has been preserved from their culture, but some linguists believe that the word “cocoa” was first pronounced as “kakawa” and appeared approximately in 1000 B.C., during the heyday of Olmen civilization. However, the original homeland of chocolate was the territory of present Mexico. chocolate drink, which was crafted with great care, was considered sacred and luxurious. Cocoa beans were literally worth their weight in gold, and for Aztecs they sometimes even served as money. But the first cocoa plantations were developed in India. Belgium is considered to be one of the main countries in terms not only of chocolate, but of all sweet delicacies. The country’s passion for high-quality chocolate has a dark history: the best grades of cocoa beans are grown in the Congo, which was formerly a Belgian colony. The amount of chocolate manufactured in Belgium per capita is the highest in the world. In this small country, there are 12 chocolate factories, 16 museums of chocolate and more than 2000 shops where this delicacy is sold. Elite brands of Belgian Godiva, Guylian and Leonidas chocolate have wide popularity around the world thanks to their excellent quality. Over the last 25 years, Godiva has been considered to have the best quality of chocolate production in the whole world. It is estimated that Switzerland has the highest consumption of chocolate per person a year – 11.6 kg. The capital of this sweet delicacy, Zurich, hosts three excellent chocolate brands: Lindt, Teuscher and Sprungli. Chocolate fans here can try different types and shapes of the best Swiss chocolate sold in small candy shops and little stores. One of the largest shops selling chocolate is the confectionery Sprungli which has the reputation of being a “chocolate paradise”. This country won an award from the International Cocoa Organization, which recognized it as a producer of premium chocolate. Cocoa grows in many regions of Peru, each producing high quality beans with their own unique flavors and aromas. The standard opinion that the best chocolate is made in Europe has long been disproven from across the ocean. Superiority belongs to San Francisco, which has the oldest chocolate factory in America, called Ghirardelli. This enterprise is famous for its full production cycle, from cultivation of cocoa beans to production of the tastiest chocolate. The factory holds free tours, which include tastings, six times a day. If you are hungry and can’t decide whether you want something sweet or savory, come to Chicago and visit the Vosges Haut-Chocolate company, which makes chocolate-covered bacon. After visiting this place you will understand warnings about eating too much chocolate – but it’s worth it anyway. In the small city of Hershey, Pennsylvania, you can find a whole park of chocolate entertainment. Hershey Park is rightfully considered to be the sweetest place on Earth. The well-known Hershey’s Kisses candies are made in Hershey, and the city literally lives and breathes chocolate. Today Hershey is an attraction where its guests move through its chocolate factories by mini-train. Children and adults are excited, and it is simply impossible to leave without buying some candies and chocolates in local candy shops. France is best known for cheese, seafood, frogs and wine. But if you come to this romantic destination, try the local chocolates as well. Even though French chocolate is less well-known than that of Swiss and Belgium (maybe it is all about marketing? ), it is still some of the tastiest in the whole world. The French take everything about food seriously and that is the reason why French sweets are so popular among tourists. Try tasty truffles and bonbons, dark and white chocolate bars, pralines, ganaches, chocolate drinks and delicious chocolate candies.